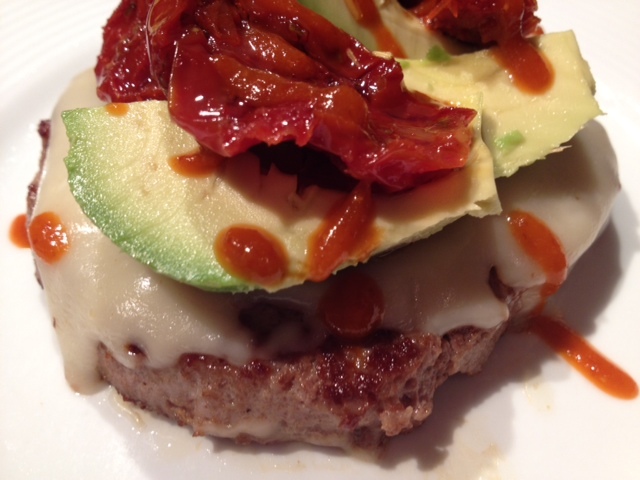 This turkey burger is so good that I promise you won’t miss the bun! 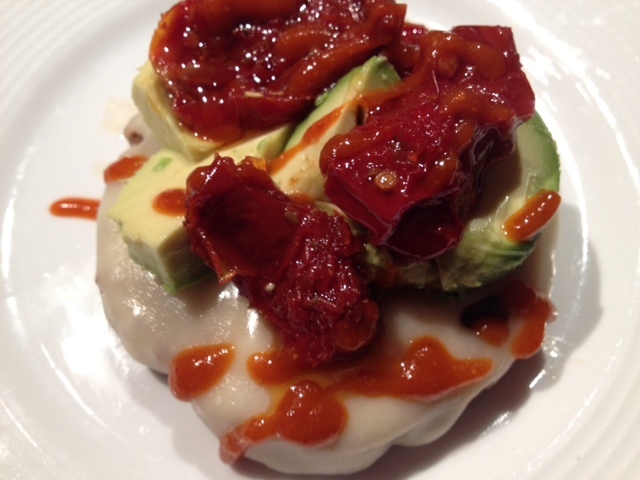 The burger is topped with sweet sun-dried tomatoes, spicy Sriracha sauce, cool avocado and creamy swiss. All the flavors will tickle your taste buds and leave you satisfied. It’s awesome! Heat the olive oil in a large frying pan on medium-high heat. Cook your turkey burgers for about 5-7 minutes on each side. Season with a dah of garlic salt on each side. 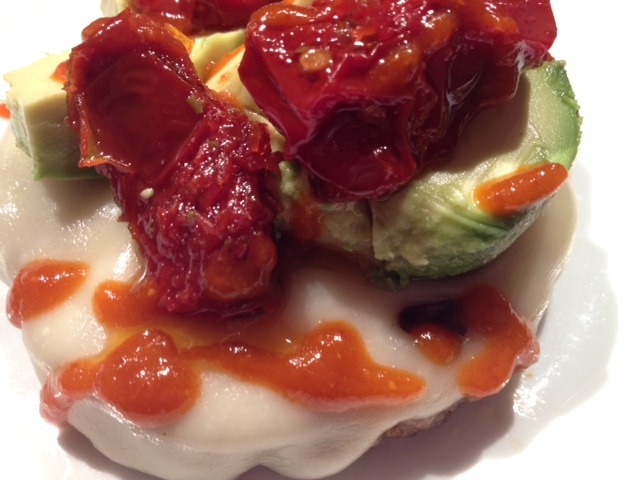 After the burgers have browned and cooked through, top with the swiss and turn the heat off. Keep the pan on the burner and put the lid on the pan to melt the swiss. 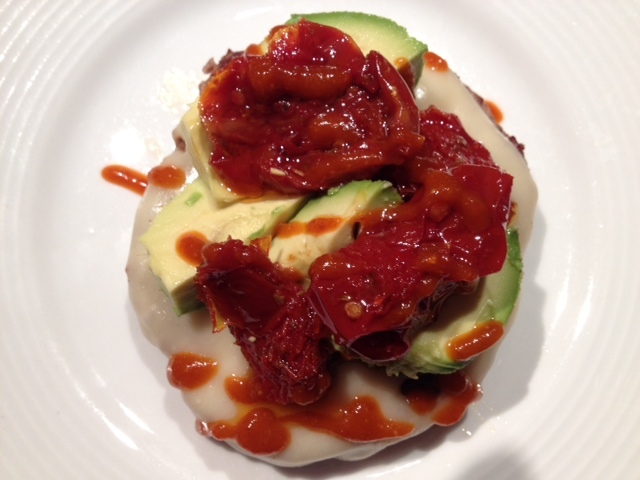 When the cheese is melted, top the burgers with the avocado, sun-dried tomatoes and the Sriracha sauce. ← Lovely Lemon Potato Salad.